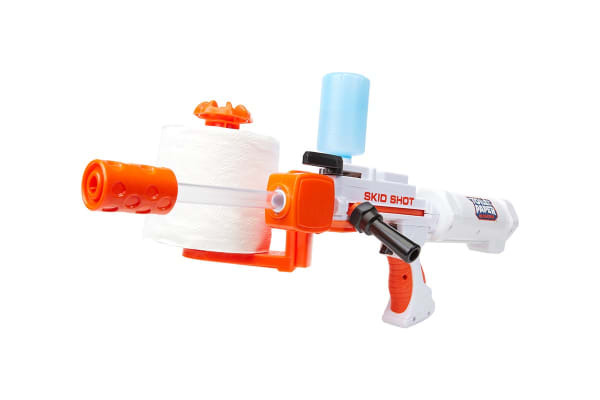 The Toilet Paper Blasters Skid Shot fires toilet paper up to 30 feet! Load up your blaster with toilet paper and water and off you go! 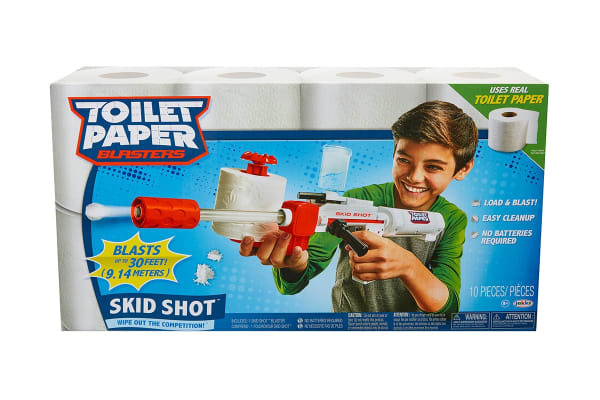 With the Toilet Paper Blasters Skid Shot, toilet paper transforms into clean spitballs. 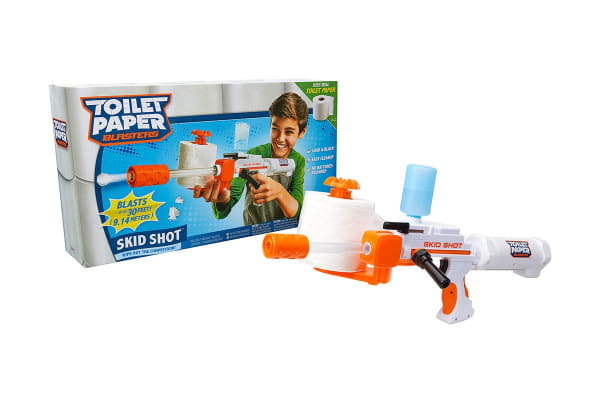 With an endless supply of ammunition, there’s hours of fun to be had.